On Saturday, May 23rd, our family and many of our friends gathered together to weep and worship with us as we grieved Naomi’s death and celebrated her life. It was a strange joy, quite unexpected in the midst of our greatest heartache, to see and receive hugs from those we love, many of which had traveled great distances and at considerable expense. Few knew what to say—including us!—but the Spirit interceded for us in our groanings and communicated God’s love in a powerful way. For me (Mike), that process has unalterably infused my sorrow with joy, like iron alloyed with steel. The two are now inseparable, and whenever I feel sad, I also feel happy. It is not at all what I expected to feel, but then again we serve a God who delights in turning our expectations—and often our whole worlds—on their heads for our good. “On April 6th, 2015, our fourth child was born, a little girl. 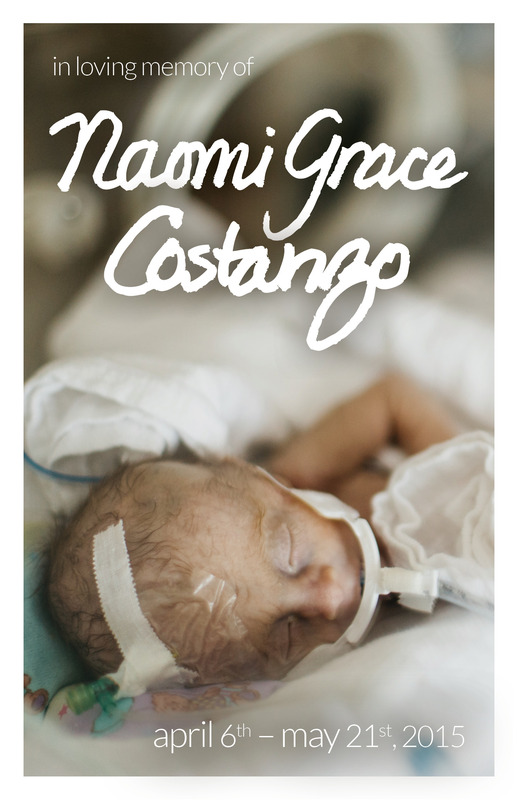 She was born prematurely at 32 weeks with several significant and life-threatening medical challenges. We named her “Naomi” in part because of the meaning of the Hebrew name, which means “happy.” We love the story of how God worked in the Book of Ruth to transform a woman named Naomi from a bitter, brokenhearted widow to a fulfilled and happy grandmother. And we named her “Grace” because it is what we love most, and because we knew we would need an abundance of God’s grace to bear us through this trial. “Our sweet little daughter was only lent to us for a short time, but her presence has changed us forever. She never walked, never talked, never even cried audibly, but she has taught us more about the goodness, kindness, and loving mercy of our heavenly Father than perhaps anyone we have ever met. And we are not alone; we have gotten word that literally thousands of people around the world have been touched by her story. They, like us, have been compelled to pray, looking to God for wisdom, comfort, and grace. “The value of Naomi’s earthly life was not in the things of this world—achievement, success, possessions, or pleasures. What made her life worthwhile was that she brought praise and glory to Jesus Christ, her faithful and loving Creator. The days she spent with us—44 in all—were a masterpiece of grace, a priceless and irreplaceable gift to us and so many others. “But her life has not ended. Her days are not over; they are just beginning. 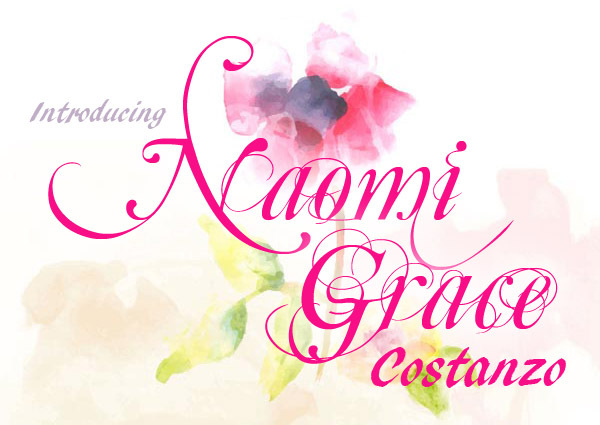 Jen and I are assured, based on the promises of the Word of God, that Naomi is in heaven with her Savior. There she is praising Him with a loud voice, running and dancing and leaping for joy in all He has done for her. “But for those of you who are old enough to understand my words, know that for us salvation is not automatic. I say to all of you gathered here: put your faith, hope, and trust in the Lord Jesus Christ alone. Do not imagine that the words spoken here today are a mere contrivance, a sweet-sounding deception invented to soothe our hearts and numb our minds. “If in this life only we have hope in Christ, we are of all people most to be pitied.” No, these words are offered to you as life, even life from the dead. Hope in them. Hope in the One who has revealed Himself to us through the Scriptures, the One who is the Way, the Truth, and the Life. Hope in Jesus Christ. He has sustained us, and He will sustain you as well. Believe in Him, and in so doing you will share our joy.